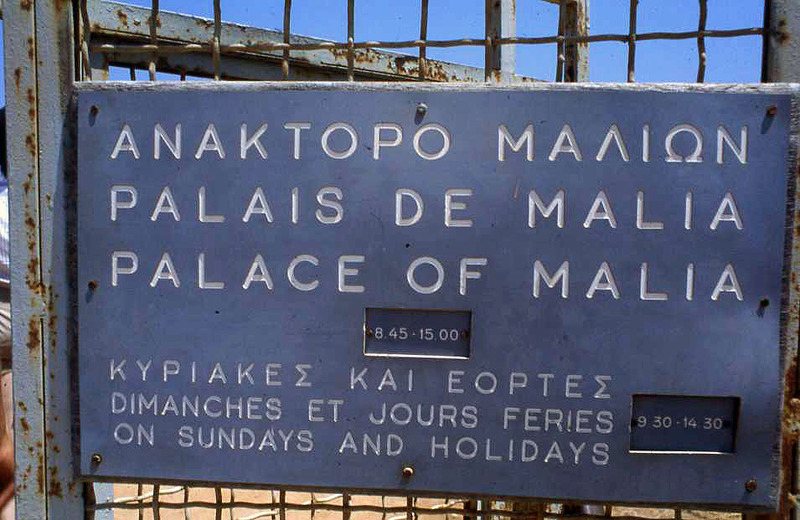 Sign at the entrance to the Minoan palace of Malia. 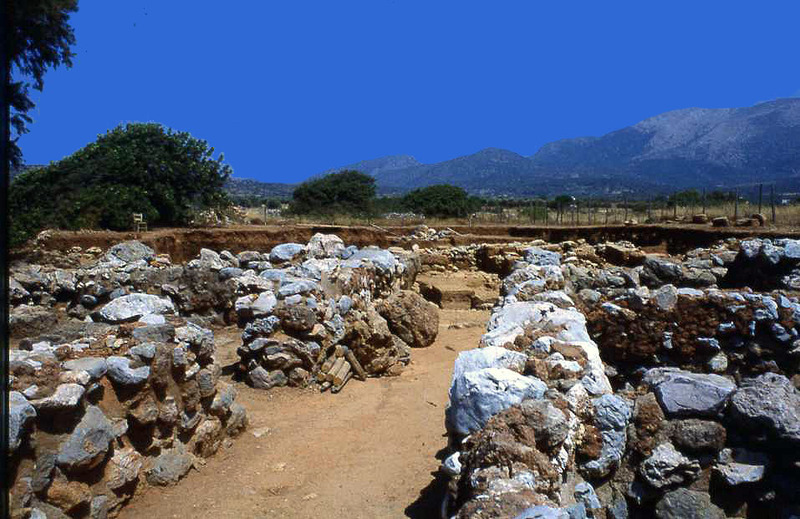 Ruins of the palace of Malia and mountains in the distance. 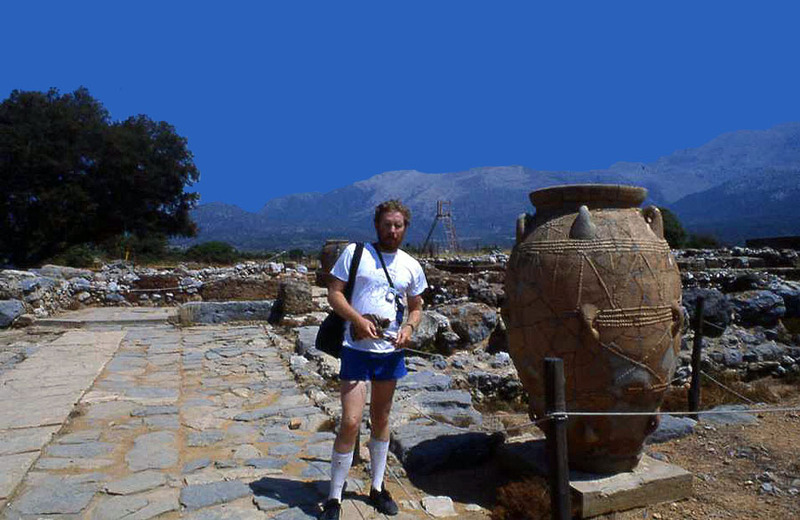 Professor Fuller in the Palace of Malia with mountain peaks in the background. 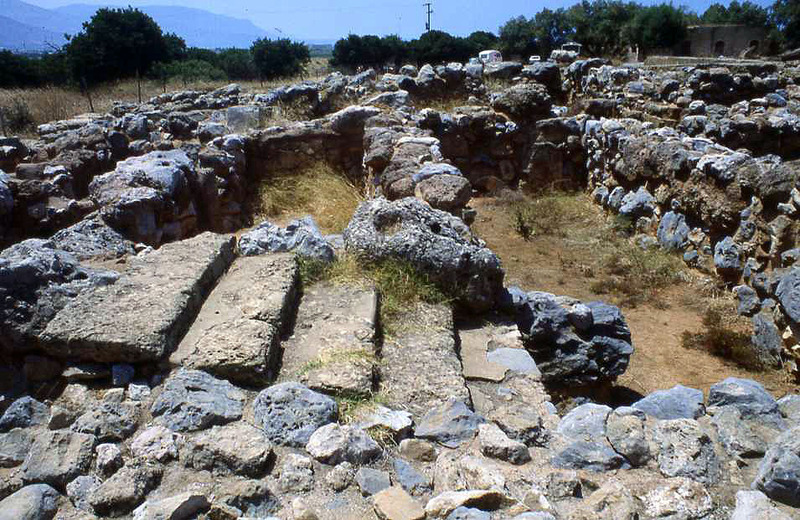 Many Minoan Palaces aligned to mountain peaks were shrines were located. Slide taken in 1984 and digitized. 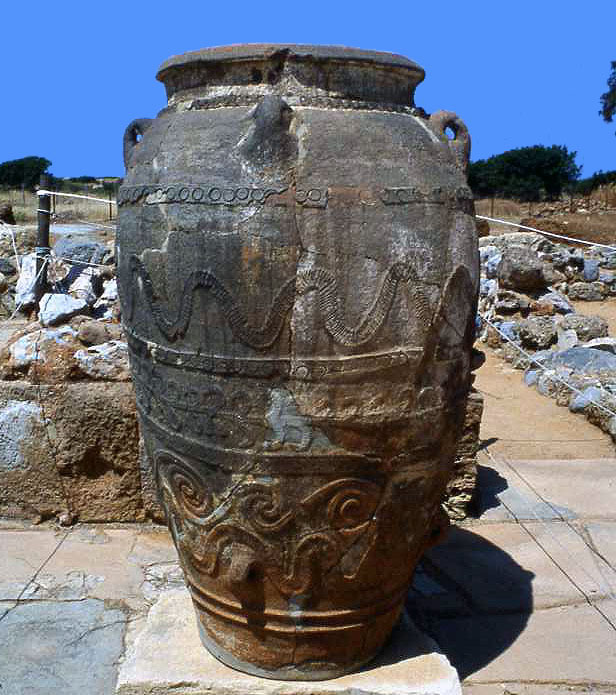 Large pihtos at the Malia palace. Steps within the Malia Palace.